Two volumes (30.5 cm), I (Bibliographie, 1969): (8) 666 (2) pp. II (Geschichte, 1978): xvi, 604 pp., including tipped-in photographic portrait of the author, and 57 text illustrations, plus 92 illustrations on 48 plates. Publisher’s cloth, dust jacket (volume I; volume II issued without dust jacket). - 4826 entries, with multiple indices. 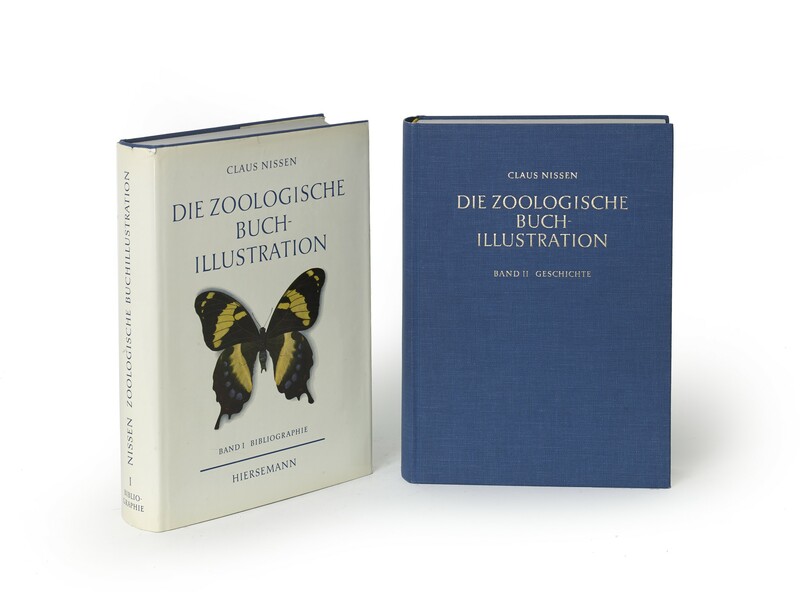 Included in volume II is Hartmut Walravens, “Zoologische Illustration in China und Japan” (pp.413-448). In 1973 the work was awarded the Triennial Prize for Bibliography of the International League of Antiquarian Booksellers. 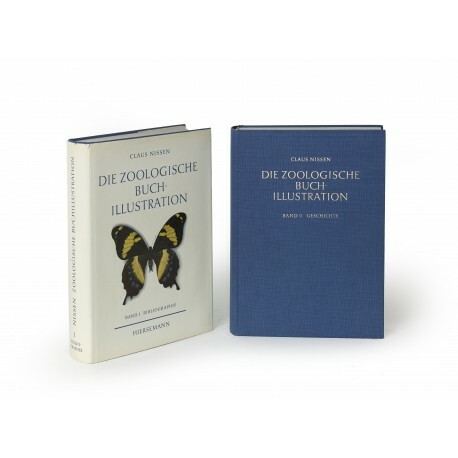 Publisher’s retail price €340 (www.hiersemann.de). ¶ Short tear in dust jacket. Fine copy.